P. falciparum is the most widespread and dangerous of the four: untreated it can lead to fatal Cerebral Malaria. Malaria Parasites are transmitted from one person to another by the female anopheline mosquito. The males feed only on plant juices and thus do not transmit Malaria. There are over three hundred species of anopheline mosquito; however, only sixty or so are able to transmit the Malaria Parasite. In certain regions, however, the parasites have developed resistance to certain ant malarial drugs, particularly Chloroquine. Patients in regions such as Latin America, Africa, and Asia require treatment with other more advanced drugs. Hospital care must be provided in certain severe cases of Malaria. Surprisingly, some ancient Malaria treatments were remarkably effective. Artemisia Annua has been used for at least the last 2000 years in China, its active ingredient Artemisinin was only recently scientifically identified. The significance of malaria as a health problem is increasing in many parts of the world. 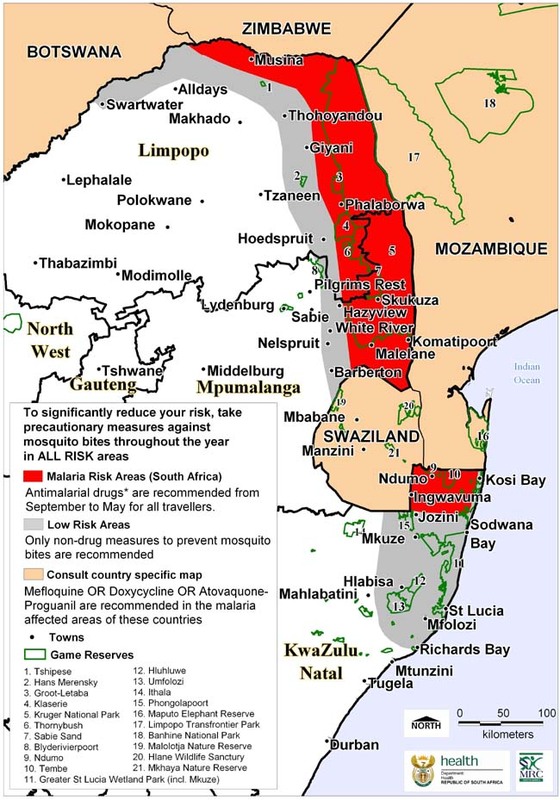 Epidemics are even occurring in and around areas that traditionally had been known as Malaria zones before transmissions had been eliminated. These new outbreaks are generally associated with deteriorating social and economic conditions. The main victims are underprivileged rural populations. Malaria is complex but it is a curable and preventable disease. 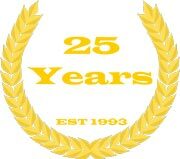 Lives can be saved if the disease is detected early and given adequate treatment. 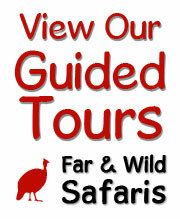 Consult with a doctor for proper diagnosis and treatment. In humans, the parasite multiplies in two stages: first in the liver cells, then in the blood cells. Parasite forms (sporozoites), injected into a human from an infectious mosquito, first travel to the liver where they undergo a tremendous initial multiplication phase. One parasite cell in the liver stage produces 10 000 (in P. vivax) to 30 000 (in P. falciparum)merozoites. These then enter the blood system where they start multiplying further. The liver stage of the parasite can become dormant, and re-emerge after 1-18 months (in P. vivax / P. ovale). Recurrence in P. falciparum (in less than a year) and P. malariae (up to 50 years) is due to re-emergence of parasites living at very low levels in the blood. In the blood stream, the parasites invade red blood cells, feeding on them as they grow and divide, and finally break free, thereby destroying the cells. Each parasite produces 12 - 32 new parasites (in P. falciparum, slightly less in other species). Each new parasite then invades another red blood cell and starts dividing. This multiplication can quickly result in severe disease and death. Fever is caused by release of waste material when infected cells rupture in the blood. Cerebral malaria is caused by clotting of red blood cells in the brain blood capillaries as a result of the malaria infection. Severe anaemia is caused by destruction of both infected and uninfected cells by the parasite or by the body itself. The failure of other organs, like kidneys, liver and spleen, is caused by the flood of waste materials and the clotting of blood capillaries, to the point where the body can no longer cope. The blood cycle in P. falciparum occurs in "deep circulation", i.e. in the blood vessels of the inner organs. Only when the cells rupture do parasites appear in peripheral blood (where they can be picked up through a finger prick). That is why it is sometimes difficult to pick up parasites with the microscope, unless the blood was taken during a fever spell. The maximum parasite density achieved by P. falciparum is 2 000 000 parasites per micro litre (μl); 50 000 in P. vivax; 30 000 in P. ovale; and 20 000 in P. malariae. On average there are 5 000 000 red blood cells per μl blood, so P. falciparum can infect 40% of all red blood cells before death. Soon after infection of the human host, some parasites, instead of dividing, start forming sexual cells, called gametocytes. A feeding mosquito then ingests these male and female cells. In the stomach of the mosquito, the male cell forms several sperm, which fertilize the eggs. The fertilized ookinete then forces its way through the stomach wall into the body cavity of the mosquito, where it settles and starts dividing, forming 8-10 000 sporozoites. 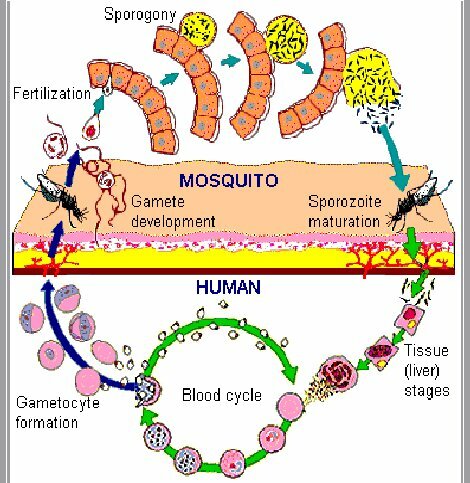 The sporozoites then travel through the body fluids towards the mosquito's salivary gland. From here they are injected into another human when the mosquito next feeds. Immunity is only acquired under conditions of frequent infection. The more frequently a person is infected, the greater the immunity. It does not prevent infection, but decreases the rate and severity of the disease, and increases the rate of recovery. Immunity can be lost when a person leaves the malaria area. Immunity is also specific to a particular species and stage of the parasite. It is transferred from the mother to the infant but remains active only for 3-6 months. Foetal haemoglobin also partially protects babies during the first few months. By microscope: some blood is smeared on a glass slide and examined under the microscope, to find parasites in the red blood cells. The four species of malaria are distinguished by the different appearance of their trophozoites, schizonts, gametocytes, the staining, size and shape of infected red blood cells, and other characteristics. For instance, P. falciparum is identified the by relative abundance of trophozoites, absence of schizonts in peripheral blood and their distinctive banana-shaped gametocytes. Schizonts in peripheral blood usually signal the presence of a species other than P. falciparum. P. malariae trophozoites often form a "belt" across the width of the red blood cell. P. ovale is identified by its large, often convoluted trophozoites, and commonly deformed infected red blood cell (hence their name). 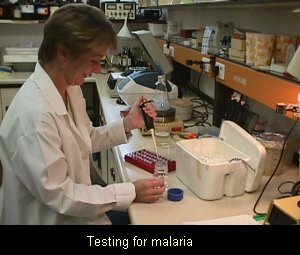 Testing for malaria with a microscope takes time, electricity and a good microscopist. Over the last few years several quick malaria "dip sticks" have been developed, which make a rapid diagnosis possible. They require a drop of blood from a finger prick, and involve a paper test strip that is dipped into the blood and (an)other solution(s). After a few minutes, during which the liquids are absorbed into the strip, a reading is obtained by the presence or absence of a coloured test line on a white background. There are several different products on the market now, most of them roughly equally effective. Most only detect P. falciparum but a few can detect the presence of one of the other species. These rapid tests are particularly useful for early diagnosis of malaria in non-immune people (e.g. in infants, during malaria epidemics or in travellers from malaria-free areas). Drugs available for prophylaxis of malaria act on the parasites in the red blood cells and prevent disease from developing and typical symptoms from presenting. It is most important to take the recommended drugs exactly as prescribed and to complete the course. Failing to complete the course results in inadequate drug levels in the blood, allowing the parasites to multiply and malaria to develop. It is important to continue prophylaxis for 4 weeks after return from a malaria area. Even if the drug is only partially effective (e.g. in the case of drug partial resistance), parasite development is still inhibited, symptoms may take longer to appear, and may be less severe at first, than if no prophylaxis was taken. Malaria symptoms may only develop quite a while after leaving the malaria area. This can reduce suspicion of malaria to the detriment of the patient, especially as many people believe that prophylaxis is a guarantee against malaria. It is therefore very important that anyone experiencing any malaria or flu-like symptoms after having been in a malaria area seeks help immediately. Appropriate prophylaxis will considerably reduce the chances of being infected with malaria. However, no drug is guaranteed to protect everyone every time. Oral treatment is used for uncomplicated malaria, intravenous or intramuscular treatment for severe malaria. Symptomatic treatment is given for fever and other symptoms. Combination therapy is being advocated to delay the onset of resistance. Chloroquine: cheapest, rapid action, symptomatic relief, but resistance to chloroquine is common, and it cannot clear the parasite. It is sometimes used in conjunction with Pyrimethamine-Sulphadoxine (S-P) because of rapid initial action. Sulphadoxine-Pyrimethamine (S-P): to treat chloroquine-resistant uncomplicated malaria. Cheap. Convenient single-dose treatment. Sometimes causes vomiting and skin rashes. Resistance to S-P has also been found. Quinine: to treat severe malaria and uncomplicated malaria resistant to chloroquine, S-P and mefloquine. Severe side effects, extremely bitter, long regimen, therefore not often used as oral treatment. Intravenous treatment suitable for treating pregnant women and children. Mefloquine: to treat malaria resistant to chloroquine and S-P. Quite expensive. Artemisinin: derivatives artesunate and artemether used to treat uncomplicated malaria resistant to chloroquine, S-P and mefloquine. It acts on the broadest range of parasite stages, gives the most rapid cure, has the least side effects. It is widely used in China, Viet Nam, Thailand, Cambodia, Myanmar. Cheap. Used in combination with S-P (where no resistance) or Lumafantrine. Amodiaquine: to treat uncomplicated chloroquine resistant malaria. Chloroquine and Amodiaquine are better than S-P at curing fevers, but chloroquine alone often fails to cure infection. S-P and Ammodiaquine are effective in curing infection. Resistance should not be confused with lack of compliance, inadequate dose, and re-infection. If patient vomits within one hour after oral dose, the dose must be repeated. Other treatment: fever-reducing drugs, antibiotics, physical cooling, rehydration. Multi drug resistance is most common in SE Asia, especially borders of Thailand. "It is better not to take any prophylaxis, as it masks the symptoms and makes diagnosis difficult"
This is incorrect. Not to take prophylaxis when visiting a malaria area puts travellers at risk of contracting a dangerous and life-threatening disease. Prophylactic drugs suppress parasite development, and therefore, even if not totally effective (due to partial drug resistance or non-compliance), symptoms tend to take longer to appear, may be less severe at first and development of complications is retarded. In the complete absence of drugs, parasites are able to multiply at phenomenal rates, and malaria can quickly get out of hand, and lead to severe complications and death. Malaria is sometimes difficult to diagnose the standard way (by microscope) because malaria parasites are present in the peripheral blood only during a fever spell. If a finger prick is taken between fever spells, it is possible that the parasites are not picked up. As prophylaxis retards the parasite multiplication, it may indeed make diagnosis more difficult initially, but repeated blood smears or new and very sensitive dipstick type tests will usually confirm malaria well before the patient is dangerously ill.
"There is this new deadly strain of malaria"
Cerebral malaria is not a new strain; it is a complication of untreated Falciparum malaria. Early diagnosis and appropriate treatment should ensure that no one gets cerebral malaria. Malaria can indeed be cured with the appropriate drugs. Due to drug resistance to certain drugs, it may take several attempts with different (combinations of) drugs to affect a complete cure. Also, because most common drugs only deal with the blood and not the liver stages of the disease, the two malaria species that have dormant liver stages (Vivax and Ovale) often do not get removed initially. 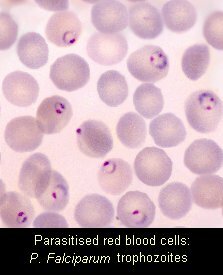 If the parasite species is not identified correctly, or if there were two species present in the blood, of which one was missed, malaria can flare up again, sometimes many months later. 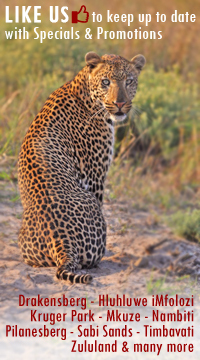 However, once the species has been correctly identified, the liver stage can be successfully removed with Primaquine. "Prophylaxis need only be taken while in a malaria area"
The drugs that we have to prevent malaria are known as blood schizontocides, which means that they work on the parasite once it enters the red blood cells. This does not occur until 10-14 days after being bitten by an infected mosquito. If the drug is stopped before the parasites reach the blood cells, there will not be enough in the blood to kill the parasites and the prophylaxis will fail. It is therefore extremely important to continue taking prophylaxis for 4 weeks after leaving a malaria area. "I wasn't bitten, can I stop taking my prophylaxis?" The female anopheles mosquito is not known as 'the silent killer' for nothing. She does not buzz around your head at night, irritating you. You may not be aware of her presence at all. The reaction to her bite may also not be as pronounced as it is with other bloodsucking insects and you may be unaware of having been bitten.